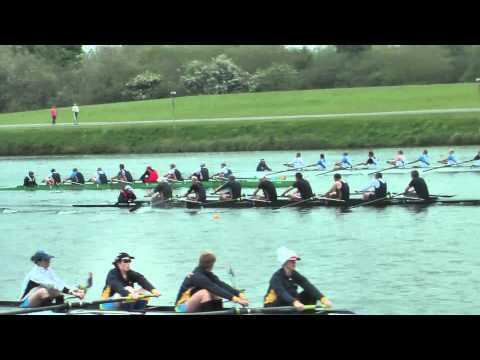 Every year the British Rowing Masters Championships are held at Nottingham on a 6 lane course. Durham ARC sends a variety of crews. Below you can see the Masters F (average age 60+) eight winning a silver medal in 2012.